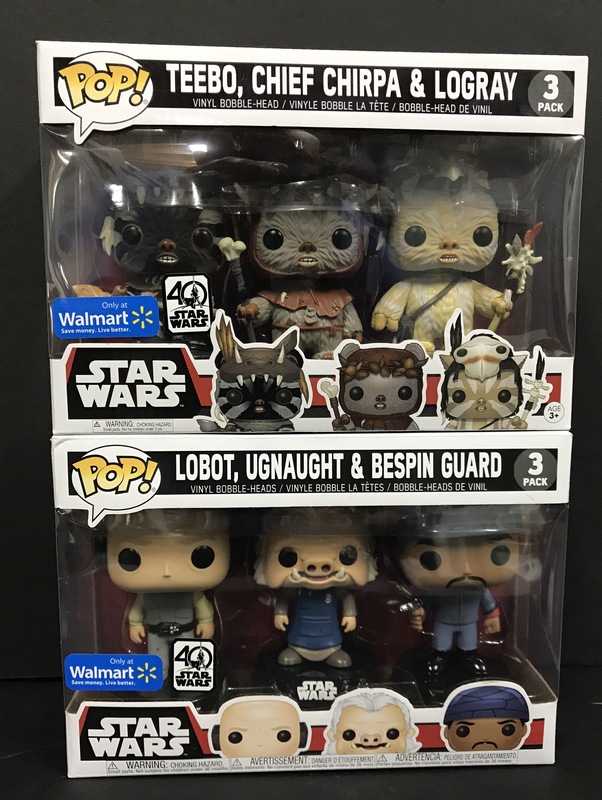 Walmart 40th Anniversary Funko Pop Sets Found! I had nearly forgotten about these Walmart Exclusive 40th Anniversary Funko Pop sets that we reported on previously in June, but JTA reader Justin sends us his find at his local walmart. After doing some digging, I found that these have just hit a few stores near me in NJ as well. 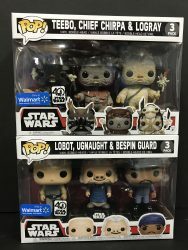 Might be time to hit your Walmart if you’re a Pop fan! (or Ewok fan!). They are out of stock online, but here is the Ewok Set and Bespin Set in case you want to keep track!